First I would like to say from all of us at GEARS that our hearts goes out to everyone in Boston as well as in West, Texas. A few updates I am extremely happy to announce. The Colt LE901 will be here in the next few weeks for review from Colt. We are also out working on the ATI stock review for the SKS. If you have not read the first impression you can click the link to read it. Thanks to the ammo shortage we are still in I haven’t be out working on the magazine reviews but I promise that I will have it as soon as I can get my hand on a decent amount of ammo. DRD Tactical is excited to offer P556 upper with a quick change barrel without any tools. P556 upper will allow any standard AR type rifle to have quick change barrel and a compact carry capability. P556-FN model comes with 16″ FN Hammer Forged chrome lined barrel and flash hider. P556-LW model comes with 16″ Lothar-Walther stainless steel barrel and flash hider. We offer a US made Hardcase with custom high density foam wich can carry 16″ barrel AR carbine, 4-30rd magazines, sound suppresor (NFA item) and a variety of optics. All uppers come with our patent pending quick change barrel system and 13″ rail with tapped holes for Magpul L-4 Rail Panels. Looks nice. Hopefully if we ever get our DRD Paratus-16 for review we will know whether this seems like something else we’d like to test. Out finding a new gun range. Out of the office today looking for a new gun range that fits all our needs. You can follow our Twitter and Facebook for updates. On November the 14th, the US Department of Justice, Bureau of Alcohol, Tobacco, Firearms and Explosives (BATFE) has officially granted import permission and sale in the United States of America of the AF2011-A1 Second Century double barrel pistol, with a total score of 120 Points, according to Form 4590. Arsenal Firearms Group – The Board. The AF2011-A1 Second Century double barrel pistol comes actually as the very first industrial double barrel semiautomatic pistol of all times. Read more. Trigger: double hammer with single spur, double independent or single trigger. Aaron redesigned his site Weapon-blog. Go over to his site and let him know what you think. 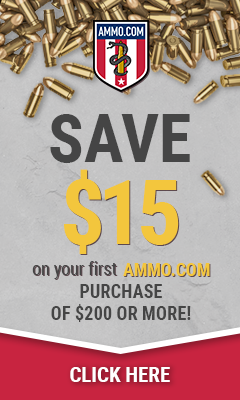 I have been working on more and more reviews lately so I figured I would start a review site called Bestgunreview.com. As of right now I only have past reviews posted but the plan for the new site is to move all of my reviews to that site and leave this site for the reviews of the other writers. As some of you may have been noticing lately Gears of Guns has been making some changes to the look of the site and adding new features. One of the newest things I am excited to be releasing is the GEARS Store which you will notice in the top menu bar next to the home button. We will be updating and and adding new items to this store a few times a month. 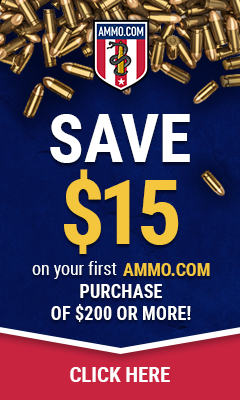 We set up this store to try and showcase some products that we talk about and hopefully make shopping for gun related products a little easier and more fun for you. Hey guys I am Cannon fodder! I met Atticus and The Hammer in Scouts, where the three of us got our Eagle badges. We also helped out a little bit with the firearms there as well ;). I don’t get to shoot as much as I’d like because of my job, and my main hobby which is playing drums. I’m not as skillful with a firearm as I used to be, but I still love to go out shooting when I can. I have collected a few pistols in the past few years and I know some of my guns have been seen here on Gears of Guns. I own a Bryco 9mm pistol, a Cobray Mac 10, a .22 Magnum revolver and a LEGAL sawn off 20 Gauge shotgun. I’ll be taking over the Video Tuesday from Atticus and be joining him for reviews on some of the snipers rifles, and some of the other fine firearms!